If you’re in the Concord area and need residential roofing, we are happy to provide you with our services. Residential roofing is very different from industrial roofing. Not only is it much smaller in scale, but the styles and materials used are usually very different, as well. We enjoy the opportunity of working with homeowners. There is also a much different relationship developed with homeowners than with businesses. Residential roofing contractors offer a wide range of services. It is important that you are informed about all of the details for hiring a roofing contractor. Unfortunately, there are people in this industry who are not properly licensed and insured. Before hiring someone to work on your home, make sure they are both licensed and insured. If they are not, this could become a much bigger headache for you later on. Also verify the warranties they offer, so that as you’re comparing your quotes from different roofing companies, you are well aware of the true value of what they’re offering to you. If you’re in the Concord, North Carolina area and need residential roofing, we are happy to provide you with our services. At JM Reynolds Builders, LLC, we have been roofing homes for years. It is something that we have come to greatly enjoy. We take pride in our work and are very efficient. We have mastered this skill set, so we can provide the best materials to you in the least amount of time while also delivering a superb job. 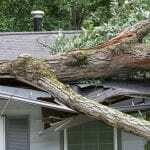 We are trained to know if your roof needs repairs or if it is better to replace it. Each situation is unique, but we look forward to working with you individually. 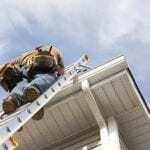 At JM Reynolds Builders, LLC, we offer residential roofing services in Concord, Kannapolis, Charlotte, Salisbury, Mooresville, Huntersville, Granite, Quarry, Davidson, and Paw Creek, North Carolina.